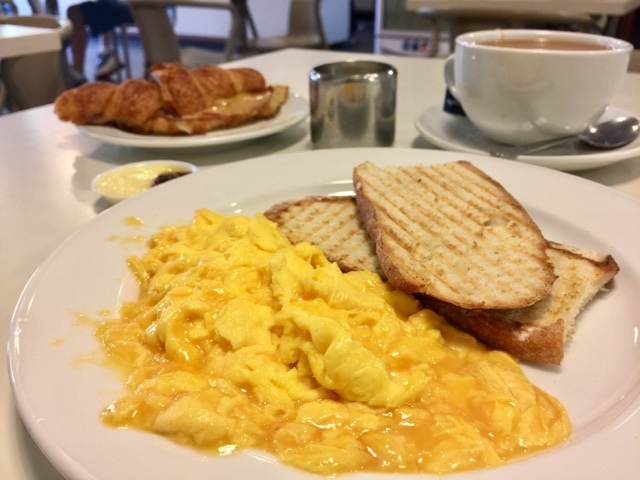 Simply Bread at Guthrie House - Creamy scrambled eggs and freshly baked bread! 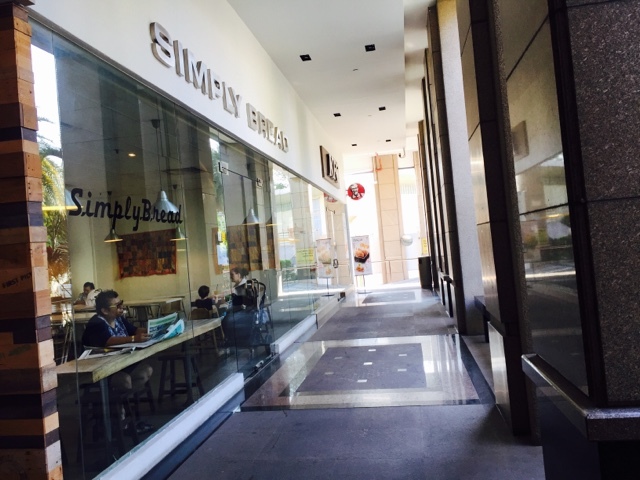 Simply Bread is a bakery serving different types of freshly baked bread in Fifth Ave. What is amazing is that it is also a perfect place to enjoy a lovely morning breakfast as early as 8am. It has several mouth-watering eggs and toast options. 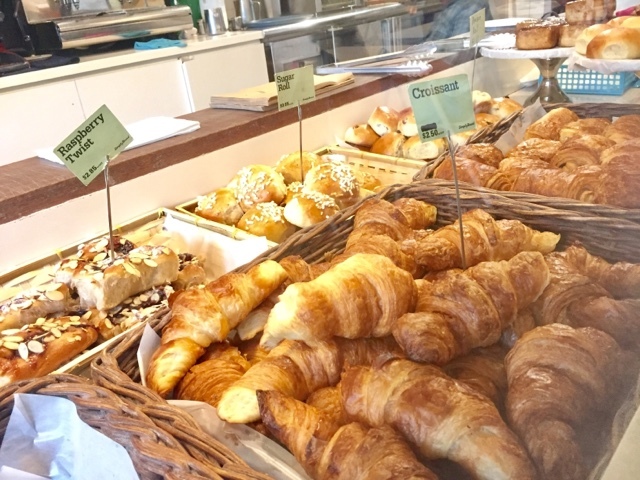 Today, I tried scrambled eggs with toast as well has my favourite, ham and cheese croissant. The ham and cheese croissant was absolutely beautiful. 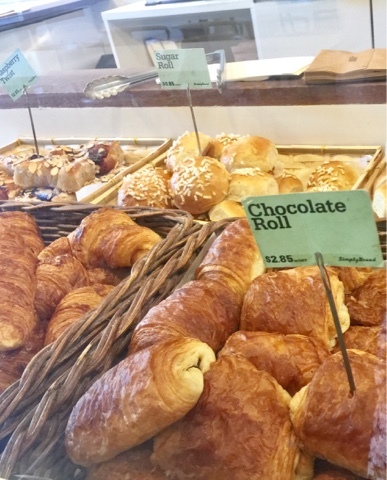 The colour of the croissant was baked a beautiful brown and its buttery crust was a delicious staple to any breakfast set. 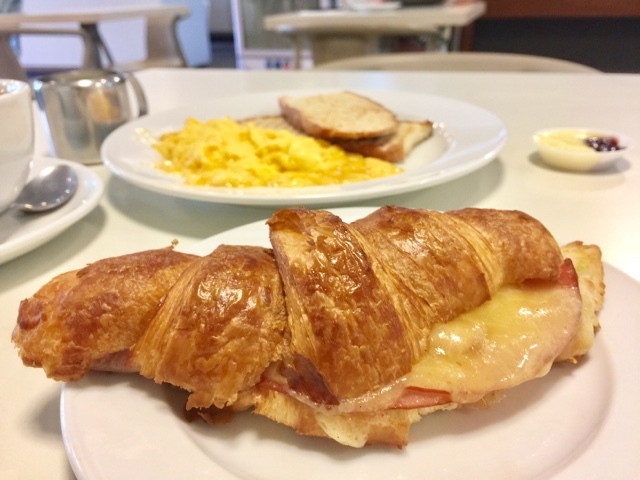 My original intention was to order ham and cheese croissant with scrambled eggs . 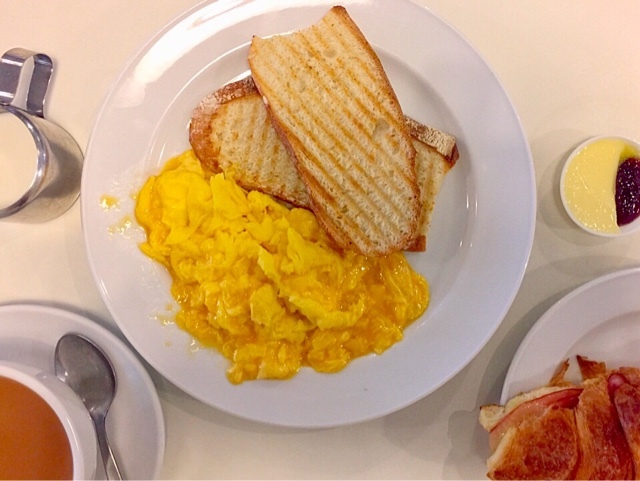 The scrambled eggs were served with their signature toasted bread, butter and jam. The eggs were extremely creamy and cooked to perfection. I was not able to finish the food on my own so I packed half a croissant back. 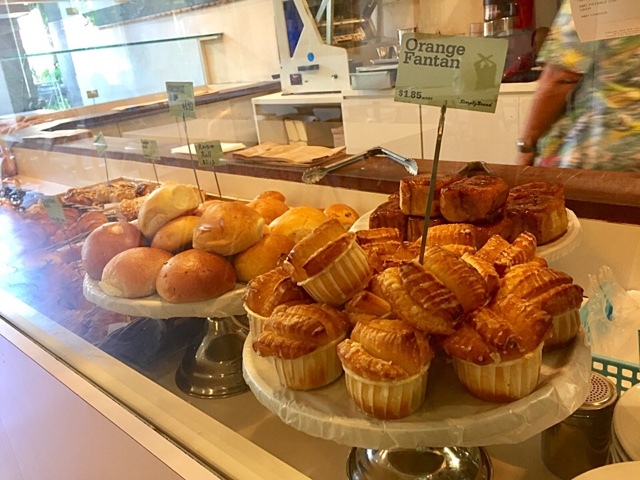 Other than being known for their freshly baked bread and breakfasts sets, Simply Bread is also a place popularised by expats and caucasians living around the posh Fifth Ave. 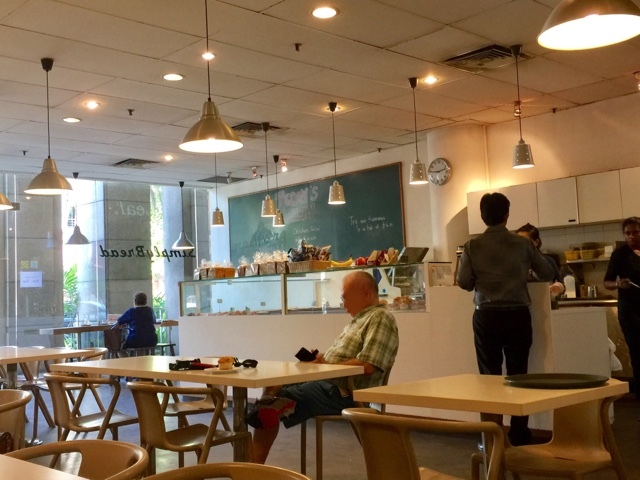 It was an interesting sight that the number of caucasians outnumbered the common folk in Singapore on a weekday morning. The atmosphere was very relaxed because customers were reading newspapers and clearly, enjoying their quiet moment and sipping their coffee. 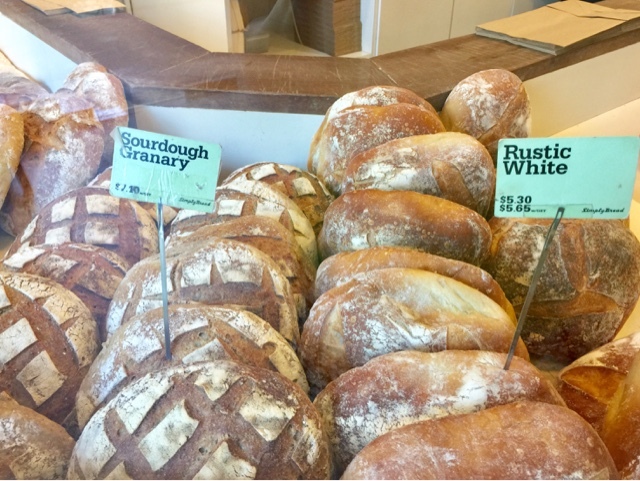 Don't forget to buy some delicious bread home!